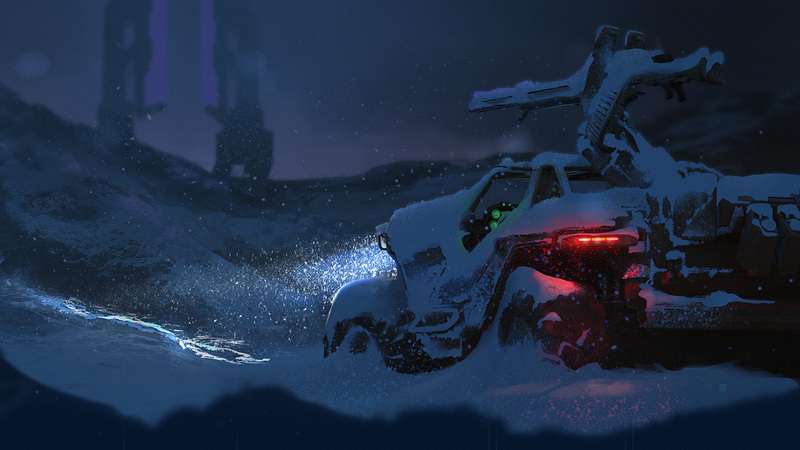 The Halo Wars 2 Blitz Beta is upon us which means it’s time for a special edition of the Halo Community Update to get you fully up to speed on everything you need to know to hit the ground running and emerge victorious on the battlefield! 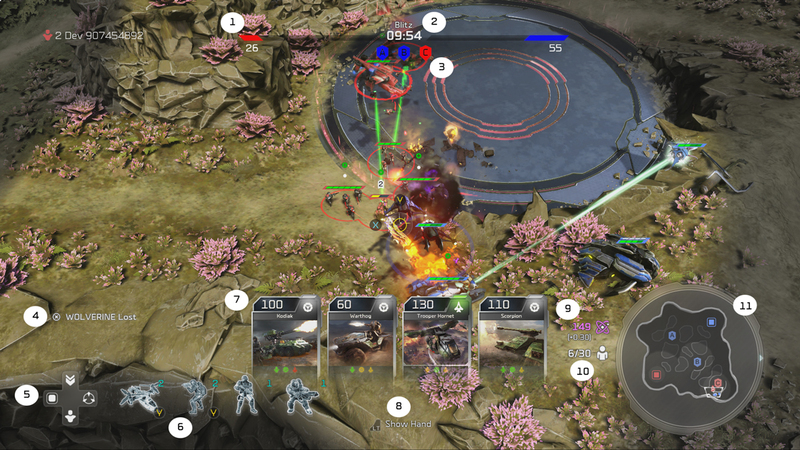 Blitz is a new way to play Halo Wars and offers a fast, card-based strategic experience that’s quite different from the standard RTS-style PVP matches of the past (don’t worry, those modes are all still included in the final game!). The Blitz Beta will be avaialble on Xbox One and Windows 10 PC but for the sake of this guide, when controls are stated they will be in reference to the console version. Luckily these are exactly the key things we're going to dive into today. To kick things off, let’s first start with the basics and overall game mechanics. Blitz is a new addition to the Halo Wars experience offering a twist on RTS gameplay that combines the deck building and split-second decision making of card-based strategy play with explosive tactical combat in the Halo universe. Your card deck, along with your faction leader, are your greatest resources as you assemble a collection of air, ground and infantry units and seek to out-think and out-maneuver your opponents on the battlefield. Blitz is a PVP gametype that offers 1v1, 2v2 and 3v3 configurations via Xbox Live matchmaking. The goal in Blitz is to score more points than your opponent(s) by using the cards in your deck to capture and hold the majority of control points on the map. To capture a point all you need to do is position your units over it – air or ground will suffice – and it’s yours for the taking provided your opponent isn’t there to contest it. Any time you are holding more control points than your opponent, you will start to accumulate score points. If both teams control an equal amount of points, then scoring is paused until one team re-takes majority control. The winner of a Blitz game is the team to reach 200 points first OR the team with the highest score when the 12-minute game timer expires. Players will slowly generate energy automatically during a match at a very slow rate but Energy Cells will periodically drop down onto the battlefield offering a chance to increase your energy gains (and that of your teammates as well!). The more energy cells you collect, the more your permanent energy gain “tick rate” increases. Building enough energy to amass a large army or play key cards at crucial times is a huge strategic component of Blitz so when you see an Energy Cell drop you should seriously consider going for it before your opponent does. When one of your unit dies, you will be refunded a portion of its initial energy cost. While this isn’t a solid source of income to rely on in and of itself, it does allow players to at least offer a quick counter or response if they come out on the losing end of a skirmish. Note that Airborne Units and units affected by Deployment Fatigue (units dropped outside of Home Base are temporarily affected by a health and damage reduction) cannot collect Energy Cells. 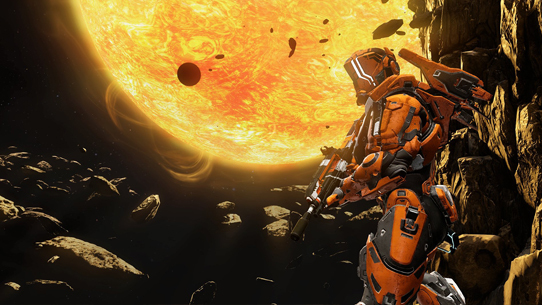 As Captain of the Spirit of Fire, Cutter can send in powerful orbital support and specialist UNSC units. Isabel deploys the latest UNSC vehicle tech to great advantage and distracts the enemy with AI holograms. Anders’ scientific expertise allows her to field Sentinel units and support her forces with Forerunner tech. Decimus is a berserker who relies on hard-hitting rushes while siphoning their health away. Atriox focuses on a cunning and defensive style, supported by heavy cover and invulnerability powers. The Shipmaster favors stealth, teleportation tactics, and rapid assaults against his foes. Your effectiveness on the battlefield is going to come down to quick strategic decisions but the most important decision you’ll make happens well before you jump into a match. The most important component of your Blitz experience is your deck and the 12 cards you assemble to take with you into battle. Initially you may want to take a few of the pre-made decks for a test drive but eventually, as you acquire more cards and learn the nuances of the game, you’ll no doubt want to construct your own custom deck and experiment with various combinations of cards and strategies. The screenshot above shows the “Edit Deck” menu which is where you can select and assign the 12 cards you’ll be using. Note that in the lower right corner there’s an option to press (Y) to adjust the “Starting Army.” Each leader-type has a specific starting unit configuration that you can choose when setting up your deck. This represents the units that will spawn at your base at the very beginning of a Blitz match. If you’re playing a team game, the strategic options get even more varied as you coordinate with your partner(s) to potentially focus on specific deck builds and roles. For example, perhaps one of you decide to go with a cheaper, “rush” style deck while your teammate opts for a more expensive, “heavy” deck to help hold the points you captured. The Blitz Beta is your chance to explore all of the leaders and cards available at launch so don’t be afraid to experiment! A deck that works in one situation may not work in another. Energy cost is extremely important because energy is the sole resource you’ll need to manage and pay attention to during a game of Blitz. We’ll talk more about energy down below but suffice it to say that it’s a finite resource and something that you can actively work to increase over the span of your game but could be in fairly short supply in the early stages of a match. Unit Type is represented by icons throughout the game and you’ll want to make a mental note of what each one means. This will help as you review a card’s ‘Strengths & Weaknesses’ to make sure you aren’t leaving yourself vulnerable to a particular unit type (or to help exploit vulnerabilities in an opponent’s deck). Strengths & Weaknesses is also key to pay attention to because you’ll want to make sure your deck is balanced enough to not be exposed against certain counters in battle. This is most critical if you have cards that show a gray icon, this means that the unit can’t attack that type at all. The Wild Jackrabbit above doesn’t have this problem – it can attack all unit types but you’ll see that’s only average against infantry and vehicles but it’s particularly ineffective vs. air units. Hellbringers, on the other hand, have a gray Air Vehicle icon which means these units are completely ineffective versus airborne units. Special Attribute – Some units have “Keywords” that bring a special power or ability to the battlefield. 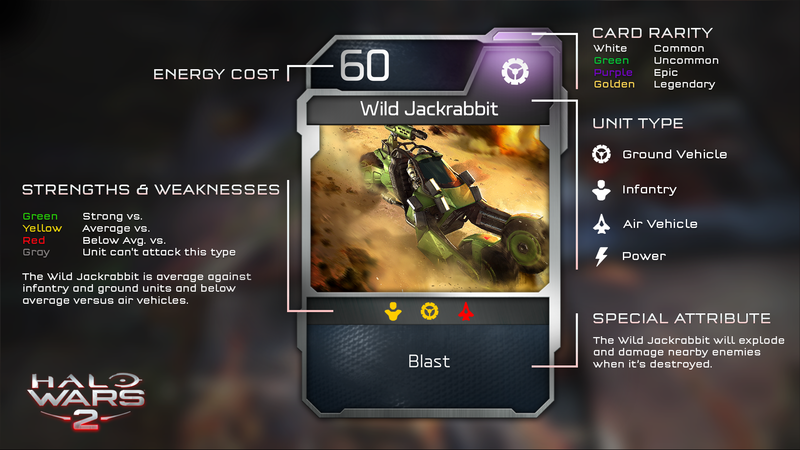 In the example above, “Blast” gives the Wild Jackrabbit a bonus ability that causes it to explode and deal area damage when it’s destroyed. Other keywords you’ll see on some cards include “Detect,” “Shield” and “Support.” Check out your cards and experiment – utilizing a special attribute card at the right moment can turn the tide in your favor. Upon closer inspection we can see that the Wild Jackrabbit card has a bit more information that’s worth noting. Card Level - In the top-right corner we can see the LEVEL of our card. The greater a card’s level, the more powerful it becomes. Cards are leveled up when you acquire multiple copies of the same card. In this case, our Wild Jackrabbit is level 2 and once we collect three more copies our card will become level 3. Special Attribute – Here we can see a helpful description of what special attribute our card has (if applicable, not all cards will have a special attribute!). (Y) – Some cards also have additional powers or abilities that can be triggered using the Y button your controller. Typically, these abilities have a cool down timer so you want to use them at the right time but they can offer huge advantages when leveraged properly. Our Wild Jackrabbit doesn’t have a (Y) ability. Leader Restriction – Some cards are only available with specific leaders and if that’s the case you’ll see this noted with a star and an indication of which leader the card belongs to. None of the cards you earn in the beta will carry over to the final game but Blitz Beta participants can score two free packs that will be ready and waiting when Halo Wars 2 launches on Feb. 21. Players can earn one pack for simply logging in to the beta and another pack upon the completion of their first match. Now that you’ve studied each leader, meticulously reviewed your card library and constructed a deck you’re ready to jump in and play Blitz! In the beta you’ll first need to decide if you’re playing a 1v1, 2v2 or 3v3 game. If you’re going down the team route you can invite and party up with friends or just dive in and match up with friendly strangers. Quick Match – This matchmaking option automatically sets you to play with your “Favorite” deck and automatically joins you into a 2v2 playlist. Play->Find Match – This option will let you choose the type of Blitz game you want to play (1v1, 2v2 or 3v3) and then select your leader and deck for the match. Now that you’ve locked in your gametype choice, you’re ready to play Blitz! Before the battle gets too heated, let’s pause things and get a lay of the land and highlight some of the important elements you’ll want to be mindful of during a match. The screenshot above was grabbed during a 1v1 Blitz game on “Proving Grounds”, the same map you’ll be playing in the Blitz Beta. This bar represents the current score for each team. Remember that whenever a team possess more control points than their opponent, they are earning points. The first team to reach 200 points will win or, if the game timer expires, whoever has the most points at that time is declared the champion. Speaking of timer, this is the overall game timer. Blitz games last 12 minutes. Beneath the score are icons representing each of the three control points. In this example, we can see that the Blue Team is in control of points A & B while the Red team controls point C.
This is where battlefield messages will be displayed such as when a unit is destroyed. This is the DPAD shortcut iconography depicting the various functions available via the DPAD. Pressing Up assigns a global rally point, Down cycles to your next army, Right is for the last alert and Left is to cycle back to your home base. At the bottom, these icons indicate units that are currently selected. You can press RT to cycle through individual units within your selected squad. If you see a (Y) icon, this means the unit has a special ability ready to be activated. If there’s a circle around it, that indicates the ability is currently on cool-down. These are your current active Blitz cards ready to be played. The initial ordering of your cards is random but from then on cards will cycle in a consistent pattern. This helpful indicator reminds you to hold Left Trigger to “Show Hand.” This expands your current active cards to allow you to play one or to press X to “Cycle.” This discards your card for a cost of 5 energy and cycles a new one into your hand. This purple “149” represents the player’s current available energy level. Remember that energy is the cost to play a card as noted on the top left corner of the card. Right below the purple number is a smaller white number in brackets – this indicates your current energy accumulation rate. At the start of the game this will be 0 but as you collect energy cores that randomly drop on the battlefield your energy will begin to grow at a faster “tick rate.” The more cores you collect, the higher your energy rate gets. It’s important to note that in team games, when any player picks up energy cores, the entire team benefits from improved energy gains. This displays your current army size out of the total maximum number of units allowed. In this case the player is only at 6 of 30 so there’s capacity to play up to 24 more units. The mini-map is super important to help you assess where to deploy forces, where to push and when to fall back. You’ll be able to see your teammates and opponent’s units on the map at all times so use that to your advantage. While you’re free to play a card anytime and anywhere (provided you have enough energy!) there is a specific benefit to playing a unit card at your home base – they hit the ground ready to rock and are 100% battle ready. If you have injured units on the battlefield, they can be healed by moving them back to their Home Base. Units that are deployed out in the field, away from home base, will suffer from Deployment Fatigue. These units will spawn in with only half of their usual health and only do half of their usual damage. If the unit avoids taking damage for 8 seconds it will heal back to 100% and return to normal damage output. It’s also important to note that units suffering from Deployment Fatigue cannot collect energy cells until their status has returned to normal. Sometimes you have no choice but to instantly drop a unit into the heat of battle, especially if it’s to contest a control point and prevent your opponent from capturing and scoring, but be aware that there are tradeoffs. As if all of the information above wasn’t enough, here’s one final helpful resource to help you prepare to lay waste to your foes in the Halo Wars 2 Blitz Beta when it launches on Jan. 20. The video below is a gameplay capture of the in-game Blitz Tutorial which will hopefully put everything you just read into greater context. Even though you’ve read this exhaustive guide and watched the tutorial I still highly encourage you to play the tutorial yourself once you’ve installed the beta. Not only will it help familiarize you with the mechanics and controls but you’ll also earn a Blitz card pack for completing it! This is, of course, just the beginning. In the coming days the team will be watching closely, monitoring your feedback and reviewing logs of data to help refine the overall Halo Wars 2 experience at launch. 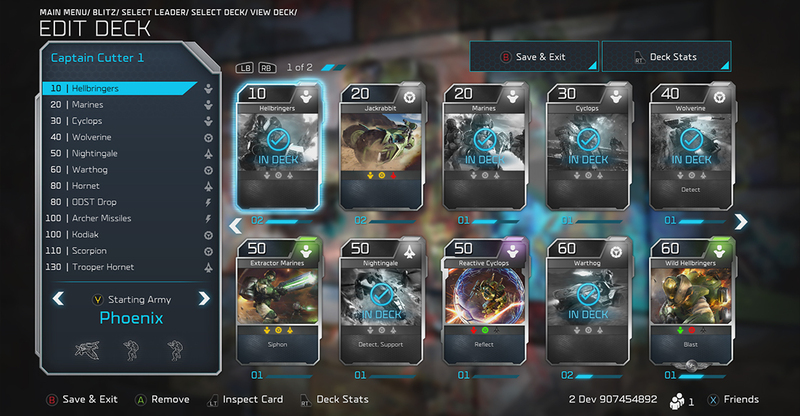 Experiment with the leaders and cards at your disposal, try to build new decks and invent crazy strategies, compare and discuss with the community and let us know all about it over in the Halowaypoint forums. 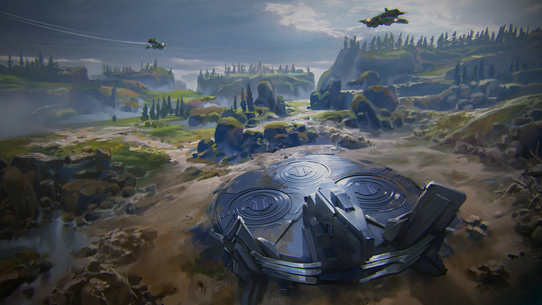 And if you really want to help give the Halo team critical feedback and insights on Halo Wars 2 (and beyond), please consider joining the Halo Community Feedback Program! Click the banners below to download the Blitz Beta for your platform of choice! If you want to check out some sweet Blitz card illustration artwork and read more about the lore behind some returning and new units you’ll be fighting with and against, be sure to check out Grim’s latest installment of Canon Fodder right HERE! And if you want to earn yourself a special custom unit skin for use in the retail version of Halo Wars 2, hop on Twitter and check out the #TwitterHaloWars program currently underway! You can battle a friend or go head to head vs. Isabel or Atriox in a Blitz-esque mini game via DMs. 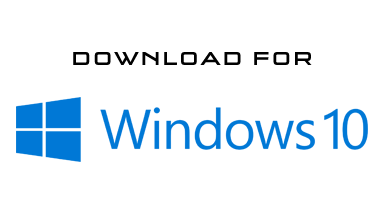 To jump into a #TwitterHaloWars PVE link, click HERE. 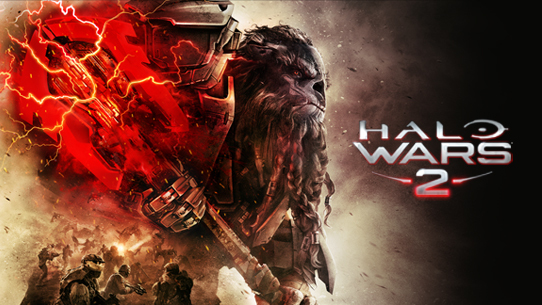 To kick off a #TwitterHaloWars PVP game, click HERE. Lastly, be sure to check out the Blitz Beta FAQ & Known Issues over on our forums for answers to your questions and what you can expect with the beta. 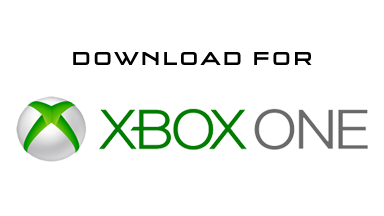 You'll also find download links to both the Xbox One and Windows 10 PC versions of the Beta! Thanks for joining us in this Blitz 101 deep dive and we look forward to seeing you online! This week we’ve got a nice selection of items on tap for your reading recreation, from sweet little news nuggets and game experience updates to haphazard hints related to some Glorious Gaming Get-together coming up next week. G-III I think it’s called or something? Either way, let’s chat.